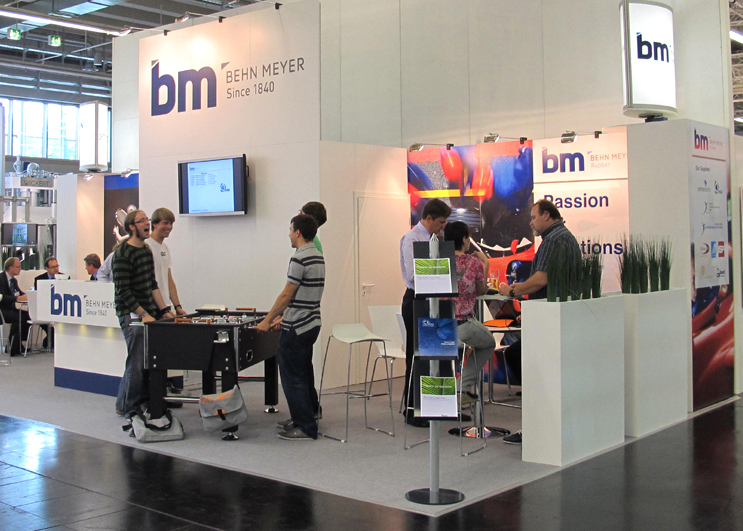 Behn Meyer Europe GmbH participated at DKT 2012 together with Performance Additives manning the biggest booth ever. The company offers an extensive product portfolio and a supplier base that has grown significantly since DKT 2009, following its strategy to become a one-stop supplier for specialty chemicals and raw materials for the rubber industry. Since the acquisition of Flexsys Italy SpA by the Behn Meyer Group in February 2011 and its subsequent renaming as “Performance Additives Italy SpA”, Behn Meyer Europe GmbH has been responsible for the distribution of the “Perkacit” Dithiocarbamate and Thiuram accelerators in Central Europe and Scandinavia. 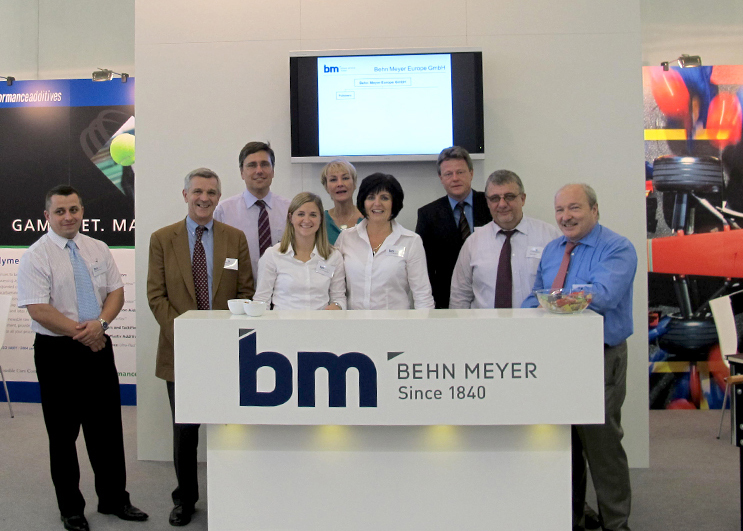 Behn Meyer Europe GmbH also promoted its vast range of other rubber chemicals such as Insoluble sulfur, Cobalt coupling agents, zinc oxide, fillers, resins, fatty acids, antioxidants etc. as well as the range of synthetic rubbers from well-known producers like NBR from INSA and ESBR from ISP. Behn Meyer Europe GmbH recently extended its portfolio with products such as white seal / green seal grade Zinc oxide from Managem, Morocco as well as a portfolio of resins under the resin blend label. The latest addition is a variety of well-known silica grades from different sources. 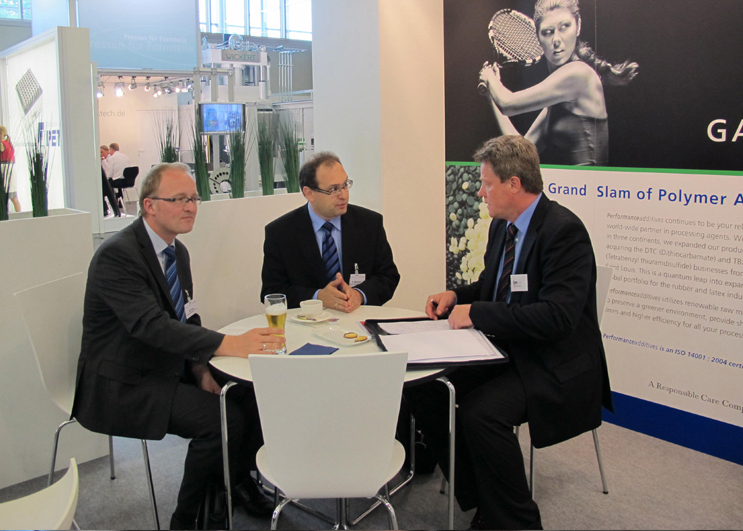 You can be absolutely sure that Behn Meyer Europe will exhibit again at the DKT in Nuremberg in 3 years time. The show and the evening events with selected customers and suppliers were a great success that produced plenty of promising ideas for new projects and products.